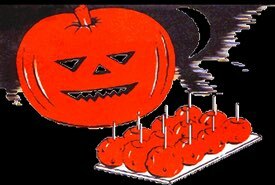 These easy Halloween cake recipes are always fun to make, and the moist, delicious dessert cakes are perfect for serving to guests at Halloween parties, or for enjoying with your family as you snuggle up to watch the lovable Peanut characters in the classic cartoon "It's the Great Pumpkin Charlie Brown." Kids love watching "It's the Great Pumpkin Charlie Brown" each year, and they'll love your Halloween dessert cake too! 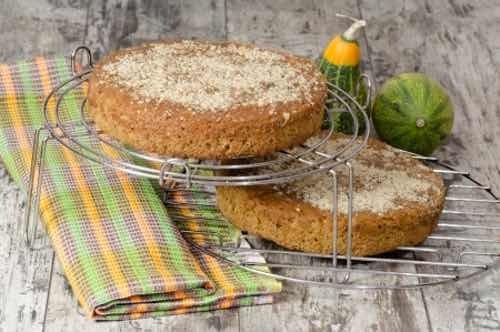 The Great Pumpkin Cake that's featured below is especially delicious when served with homemade ice cream. 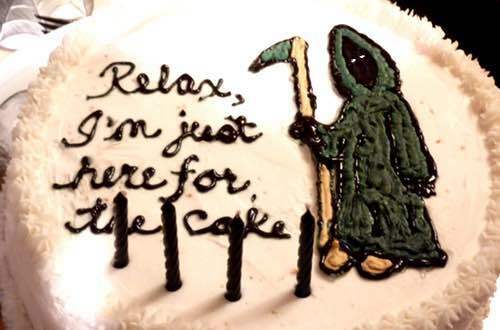 It's the perfect cake to enjoy while watching the classic Halloween cartoon. 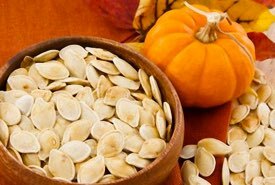 In a large mixing bowl combine pumpkin, milk, eggs, sugar, and spice. Pour combined mixture into your greased 9 x 13 inch baking pan. Sprinkle the dry cake mix over top of the mixture — sprinkle, but do NOT stir. Drizzle melted butter over it all and top it off with a handful or two of chopped walnuts. Bake for 1 hour at 350°F, or until a toothpick comes out of center clean. Best served unfrosted with a big scoop of your favorite vanilla ice cream on the side. However, your kids might prefer a big scoop of orange tiger-tail ice cream, as it displays orange and black, the perfect colors for Halloween. 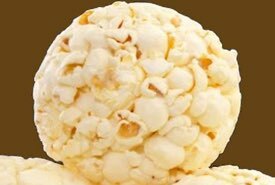 Or, decorate using an icing sugar pattern or stencil, or simply sprinkle extra chopped walnuts on the top if you enjoy a simple, nutty taste. Or, ice with vanilla frosting and serve it with hot coffee for the grownups. You can adapt this Halloween cake recipe to 2 9-inch round cake pans, if preferred. This is the perfect cake to enjoy while watching that classic Halloween movie, "It's the Great Pumpkin Charlie Brown." This is an easy Halloween cake recipe, and the cake's pumpkin-like shape makes it great for either a Halloween Party or an Autumn dessert. Prepare the cake batter according to the instructions on the box and bake in a 12-cup fluted tube pan until done. Allow the cake to cool for about 15 minutes and then carefully turn it out onto a wire rack, removing the pan, and let the cake cool. For the icing, blend 1 8-ounce package of cream cheese with 1/4 cup softened butter, then gradually mix in 4 cups of icing sugar to make a basic cream cheese icing. Remove 1/2 cup of the icing and set it aside in a small bowl for later. 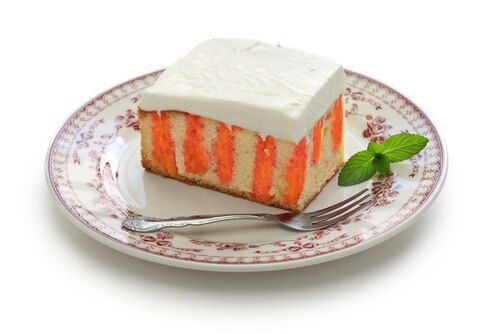 Blend yellow and red food coloring into the remaining icing to tint it orange. Spread the orange icing onto the cake. Lightly slide a spoon handle along the ridges to make them more noticeable. Blend green food coloring into the 1/2 cup portion of icing and spread it onto the outer surface of the ice cream cone. Insert the decorated cone in the cake's center hole to simulate the pumpkin stem. Any left over green icing can be used to form leaves at base of the stem. Dissolve gelatin in boiling water. Add cold water and stir until mixed, then set aside until ready to use. Prepare your cake following the package directions for a 13 x 9 inch cake pan. After baking, let the cake cool for some time. Using a meat fork or a skewer "poke" holes to the bottom of the cake about an inch apart. You can poke the holes at random or in a set pattern, it's up to you. Now pour the liquid orange gelatin into the holes so it soaks into the cake. Allow cake to chill so that the gelatin sets. Frost cake as preferred. This easy Halloween cake recipe can be altered for other holidays and themes as well simply by changing the flavor (color) of gelatin and-or adding appropriate food coloring to the frosting. Stir unsweetened chocolate and butter over low heat until melted and smooth. Remove from heat and beat in the sugar while still hot. Let it cool off for about ten minutes then add eggs and vanilla, blending well. Next, gradually stir in the flour and nuts. Pour into a 13 x 9 inch baking pan and bake at 350°F for 30 minutes, or until a toothpick stuck in the middle comes out clean. As soon as you take the brownies out of the oven drop spoonfuls of marshmallow topping on top! Spread it out evenly like frosting a cake. Simply melt semisweet chocolate and pour into a plastic bag. Snip a tiny corner at an angle and use the bag like a decorating bag to drizzle web designs over the brownies. It's the perfect frosting to compliment Halloween cake recipes. Beat together the topping ingredients until stiff peaks begin to form, add orange food coloring if desired (or a combination of red and yellow). Frost your cake and generously sprinkle with candy corn for decoration. 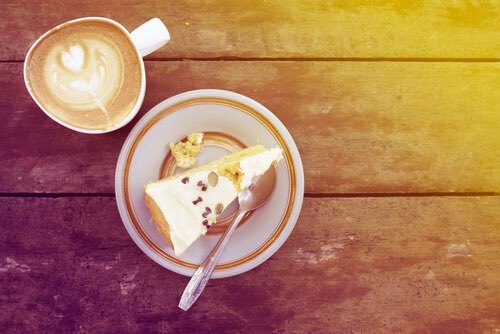 The Grim Reaper Says, "Relax, I'm Just Here for the Cake"
Why not start your Halloween morning off with a delicious breakfast that tastes almost like a dessert? Breakfast is often an overlooked meal when celebrating a holiday, but a special Halloween breakfast offers a fun way to start the day for kids of all ages. Try it, and you'll see many smiles around the table. To make these delicious Halloween pancakes, slowly melt 1/4 cup of chocolate chips in a saucepan over boiling water or in a double boiler. Make pancakes the usual way (see recipe below) and drizzle the melted chocolate over them in a cobweb pattern before serving. Further decorate the pancakes with candy corn and-or white chocolate chips. 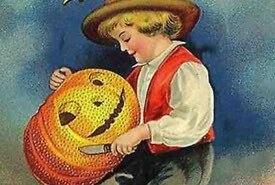 Another quick and easy way to decorate homemade Halloween pancakes is to use orange colored icing to quickly pipe a smiling jack-o-lantern face on the pancakes, then sprinkle candy corns around them before serving. Mix as usual for pancakes. Beat the whites of the 3 eggs and stir in slowly last thing before cooking. For a fun Halloween beverage to wash down the pancakes, stir a few drops of orange food coloring (or a combination of red and yellow) into a glass of cold milk to give your family a colorful surprise. And, be sure to choose one of the easy Halloween cake recipes above to surprise your family with a special dessert cake later in the day. Candy corn is a popular Halloween candy sold in the U.S. and Canada around Halloween time. 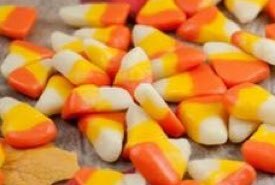 If you're unable to find it in stores, or if it's not sold in your country, you can either substitute your favorite candy treat or make it yourself using the Homemade Candy Corn Recipe on this website. Use candy corn as a decoration with any of the Halloween cakes.